The critical organ in the respiratory system is the two lungs the left being slightly smaller as it has to accommodate the heart. The tubes that carry air to the lungs divide successively and end up in very filamentous walled sacks called alveoli. The walls are highly vascular and the veins carrying the deoxygenated blood gradually a change to arteries as the blood gets oxygenated. These tubules called bronchi have very delicate membrane lining them. The precise cause of asthma is not known and there is no a cure. The best one can aspire is to keep it under check and lead as normal a life as is possible with the timely treatment of asthma. Regular physical exercise would help in its management. The first step is to identify the allergens that trigger the attacks and studiously keep away from them. Asthma treatment is the only choice most people have except those who are lucky and do not have significant disabling symptoms. When asthma is not very severe, the symptoms are tightness in the chest, difficulty in breathing, usually expiration and a wheezing sound. At this stage, only an asthma inhaler containing a steroid used twice daily is all that would be needed. However, as the symptom intensity increases, one would need the other commonly called asthma drugs. These are nasally-administered corticosteroids like beclomethasone, mometasone, and the like. Sometimes, they are combined with long acting beta agonists like formoterol and salmeterol and their likes. These keep the bronchi and bronchiole open for a longer time. Continued exposures to the allergens make the walls of bronchioles permanently constricted and their delicate lining swells. 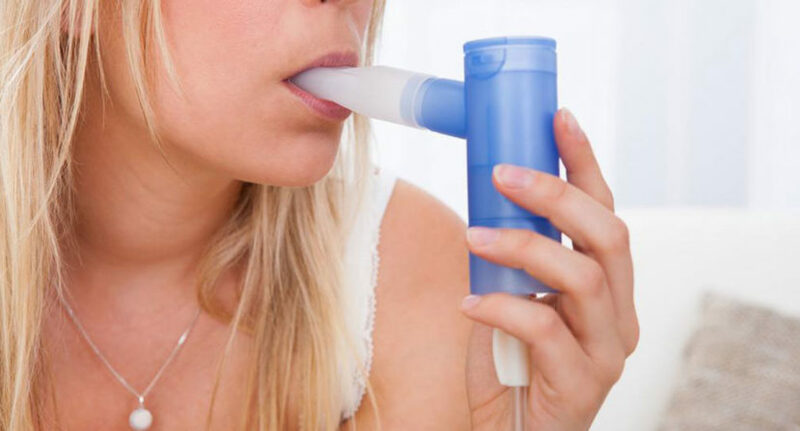 Thick viscous mucus is secreted and this leads to a cough, constant exhaustion, wheezing, breathlessness, and the condition has slipped into chronic asthma. Then one will have to resort to more powerful drugs like oral corticosteroids and other medications. Chronic asthma treatment has periodic upheavals and a group of rapid acting, but short duration drugs would be needed. One should be conscious about the potential side effects of these powerful drugs and any adverse effect should be reported to the physician and remedy sought. Asthma treatment is a necessary step in tackling this disease in an effective way.